I realize my daughter isn't a toddler anymore, but until I got her school picture yesterday did I realize just how big she really is now! 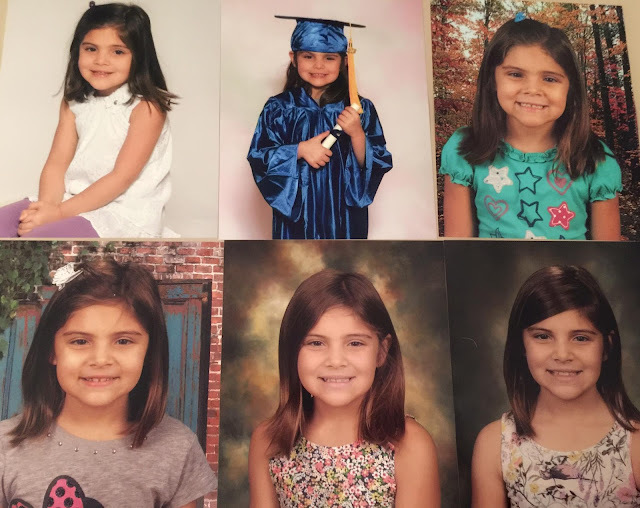 Going from the top left where she was in Pre-k through the bottom right in 3rd grade this year, she has grown up so much! Even after all these years though she still has the exact same beautiful smile and chubby cheeks that I just adore! I can't wait to keep adding the years to the pictures and look back on this day and think "Wow she was so small and young in 3rd grade!" Here's to many many more beautiful & fun years ahead!